Over the past year or so, I’ve written a series of posts dealing with what I called “materialist” approaches to the reasons for the mitsvot, meaning an approach to the commandments that privileges the embodied acts over the theoretical reasons. I started with looking at how the relationship between software and hardware might shape a different way of thinking about the mitsvot. I then explored how slightly different materialist approaches show up in the writings of three modern Jewish thinkers, two recent, one contemporary: Rav Soloveitchik, Rav Shagar, and Rabbi David Silverstein. By way of conclusion, I thought would talk a little about how I got started thinking about this issue. 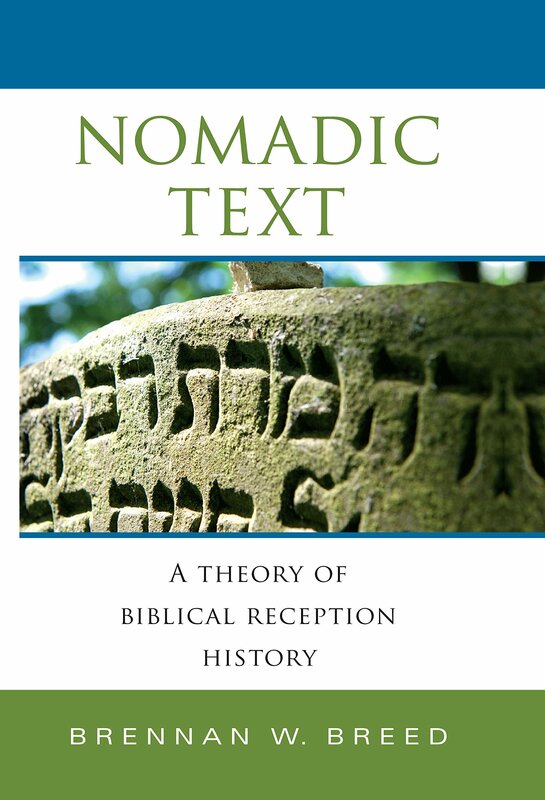 Several years ago, I listened to a podcast interview with Brendan Breed about his then-new book, “Nomadic Texts: A Theory of Biblical Reception History.” In the interview, he explained a few of the different aspects of his broad new theory of biblical reception history, the full breadth of which I only understood when I read the book itself earlier this year. 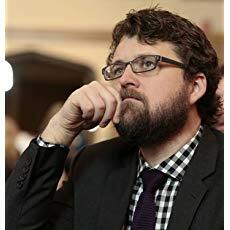 Biblical reception history is an an area of academic research that studies not the Bible itself, but how the Bible has been received by various groups over time. While I can’t do justice to the entire book here, in what follows I want to lay out the two main points from his argument that inspired my idea of “materialist” approaches to the commandments. As Breed discusses, two of the most popular ways of defining the “meaning” of a text are based on authorial intent and the original audience. The former approach asserts that the text means what an author intended it to mean. Thus, what we really do when we read is extrapolate the author’s intent from the words that she wrote. The author expresses herself in text, and we work backwards from there. The latter approach asserts that the text means what it was understood to mean by its original audience. What we really do when we read, therefore, is determine what the original audience understood from reading the same text. We try and get outside our own context and perspective and adopt the context and perspective of the original audience. These two approaches can certainly lead to similar, or even identical, understandings of a given text, but they can also lead to different understandings if, for example, an author is misunderstood by her readers. One example of this might be J. R. R. Tolkien, who claimed that his The Lord of the Rings was not a Christian allegory, despite many readers understanding it as exactly that. Of course, there is a huge variety of approaches beyond just these two, as well as approaches that combine them. It can also be hard to separate them to begin with, as presumably the author took her audience and its context into account when writing the text. When it comes to texts we take to be divinely authored, questions of author and audience become more complex. As a result of this, “all texts continue to find new contexts regardless of writerly, readerly, and scholarly attempts to pin them down” (104). This idea challenges the both the authorial intent model and the original audience model for determining a text’s meaning. If the author’s text is going to be read by people outside her immediate context, and potentially by people she couldn’t imagine in contexts she couldn’t imagine, then her intent is going to get garbled along the way, to say the least. Meanwhile, the permanence of a text means that it will almost certainly be read by more than just the one original audience. Both the authorial intent and original audience models may therefore be much less significant than many people think. In place of these approaches, Breed puts forth his own, novel approach to thinking about the meaning of a text (based significantly on the works of French theorist Gilles Deleuze). Texts, Breed claims, tear through history like bullets. And, like bullets, it matters a lot less why they were set loose than what happens after that point. The shooter’s intent matters a lot less than the actual effect of the shooting. Similarly, an author’s intent matters a lot less than how her text affects the world. J. K. Rowling likely could never have imagined what Harry Potter would mean when she first dreamed it up. Reducing its meaning to her intent would mean missing out on everything that followed. I haven’t laid out Breed’s argument in full, and I don’t really even want to argue for the small part that I have laid out. What interests me is the value this discussion might have for Judaism. I think that taking these two ideas, the rejection of the author’s intent and the rejection of an original audience, and introducing them into the discourse around taamei hamitsvot, reasons for the commandments, can help solve a critical problem for contemporary Jews. One of the blights of our era is our historical awareness. We don’t just have a long and colorful history, we are also painfully aware of every step of it. This has many benefits, but it also forces us to confront the contingency of each moment in history; nothing is absolute, because everything is a result of historical conditioning. We can no longer say “Judaism says” with full confidence, because we know that Judaism has said many different things at many different moments in its history. When it comes to the discussion of reasons for the commandments, we are too aware of all the different reasons that have been put forward for any given commandment. Even if we are willing to write off broad swaths of the reasons put forward (for example, anything that does or doesn’t include Kabbalistic ideas), we could never narrow the field to the point where we have exactly the same amount of reasons as we do commandments. Even in just the Torah itself, many commandments have multiple reasons (perhaps most famously, Shabbat has different reasons in Exodus 20 and Deuteronomy 5, not to mention in the rest of its biblical appearances). Moreover, the simple fact that so many important figures from the tradition disagreed over the reason for each commandment makes it hard to really confidently affirm any one opinion over any other. If we affirm Breed’s two principles that I laid out above, if we see the mitsvot as “nomadic,” then I think we can avoid this problem. This is essentially what I have tried to show with my posts on Rav Soloveitchik, Rav Shagar, and Rabbi David Silverstein. In The Halakhic Mind, Rav Soloveitchik argues that the reason for a commandment should not be identified with some idea that came before it, for which it was commanded, but with the subjective experience it inspires in one who performs it. Of course, he seems to suggest that there is one correct subjective effect each command will inspire, so he lacks the second element of my model. For that, I turned to Rav Shagar, whose derashot on Hanukkah both frame the commandments as opaque, meaningless objects and suggest that the reason for any mitsvot should be understood in terms of the meaning of performing the commandment, rather than the reason for the commandment itself. The act of performing is the locus of meaning, rather than the mitsvah itself, and it will necessarily differ from person to person and from historical context to historical context. This could combine with Rav Soloveitchik’s approach to let us talk about the mitsvot as “nomadic,” in Breed’s language. All that is left to do is map out the different possibilities each mitsvah bears within it, as manifested on its journey through history. A bold step in that direction is taken by Rabbi David Silverstein in his Jewish Law as a Journey which discusses the reasons for many commandments by exploring what those commandments have meant throughout history. He never broaches the question of what God’s reason for any given mitsvah might be, instead simply focusing on what different Jewish texts have said about it throughout history. 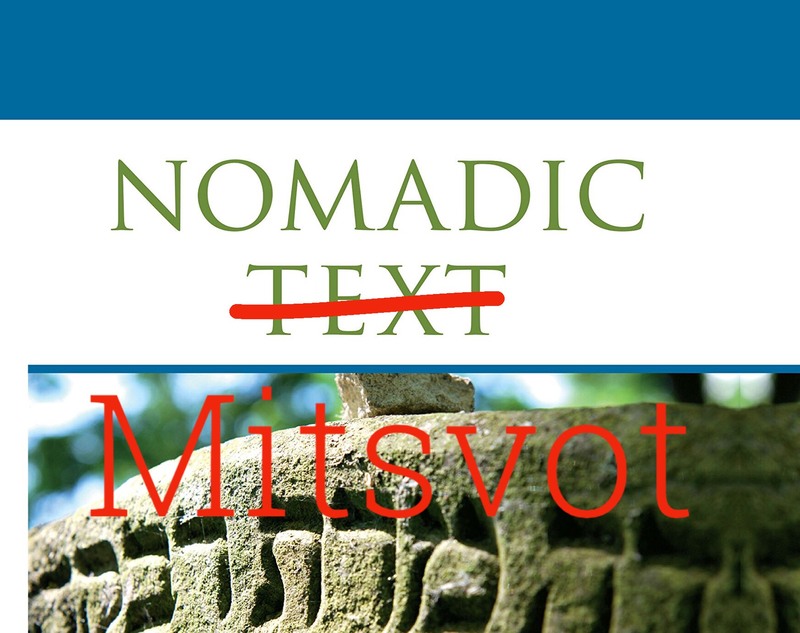 The next step would be highlighting the broad patters in order to map the nomadic paths of various mitsvot, the specific meanings that have repeatedly generated throughout their histories. I can only hope someone will take this project up in the future. Before I bring this concluding post to an end, I should broach more directly a topic I have so far discussed only briefly, in the post on Jewish Law as a Journey: how this approach squares with divine intent. It’s a lot harder to talk about “the death of the author,” about disregarding authorial intent, when that author is God. However, I would argue that this actually presents an opportunity for rethinking divine intent, specifically, for thinking about how divine authorial intent might differ from human authorial intent. The problem with human authorial intent as I laid it out above is that the author can never predict in advance where their text will go and what it will mean there. She cannot know what her text will mean or to whom it will mean it. Limiting the meaning of the text to her intent is therefore very narrowly restrictive and obscures the reality of the text rather than clarifying it. Whether or not you accept that argument in the context of a human author, it seems problematic to simply copy-and-paste it into the context of a divine author. The challenge to authorial intent is essentially based on the limits of human knowledge; the human author can never know all the different contexts and meanings of her work. However, with a divine author, there is at least the possibility of omniscience, of the idea that God knows everything, even the future. This is obviously one of the great theological debates, one I don’t intend to resolve here, but the possibility is at the very least available. We could thus claim that the divine authorial intent is not one specific meaning of the Torah text, but each and every meaning that it will pick up throughout its history. Notably, this seems to be the idea behind one traditional reading of Jeremiah 23:29, “Behold my word is like fire, saith the Lord, like a hammer that shatters rock.” This verse (which has its own history of different meanings and contexts), is taken by many to mean that the divine word, as realized in the scriptural texts of the Jewish canon, can and does bear a multiplicity of meanings (See, for example, Rashi’s comment on Exodus 6:9). The image of the divine word as a hammer shattering a rock is really a phenomenal one for our purposes. The Torah is an opaque “objectile” launched into history, smashing into human contexts, meanings breaking off in every direction. The same way the author composes a text and sets it adrift among her readers, God fixed certain rituals and acts as commandments and loosed them on Jewish history, to generate a whole host of meanings. As Rav Shagar puts it in one essay, the divine wisdom sheds and takes up different forms throughout the course of history (Halikhot Olam, 187). Notably, this would essentially give us a reconceptualization of the Oral Torah as the meanings generated by the Written Torah on its path through history, all intended by the original divine author. If you’re uncomfortable with that strong sense of divine foreknowledge, but still don’t want to give up on divine authorial intent, we could perhaps appeal to a more general intent. Instead of saying that God intended every meaning that the Torah would generate, we can simply say that God wanted the Jewish people to do their best to understand the Torah, even given that they would understand the Torah differently in different historical contexts. This would give us something like the idea behind the famous “Oven of Akhnai” story from Bavli Bava Metsia 59b, which argues that “the Torah is not in heaven,” and therefore the majority interpretation of the Jewish sages supersedes even the divine understanding of the Torah’s meaning. The meaning of the Torah is thus what the Jewish people thinks it is, rather than what God intended it to be. However, as the conclusion to the story makes clear, God desires this to be the case. God intended that the Torah be understood differently over time, even without intending those specific different understandings. As I hope I have shown, in this post and in the whole series, thinking about the mitsvot as material objects that generate their meanings both can be and already is a fruitful part of taamei hamitsvot discourse. Rav Soloveitchik and Rav Shagar did it, and Rabbi David Silverstein is doing it now. Given the theological issues it helps us untangle, I hope it can become a bigger part of this discourse in the future. Minimally, I hope this series will help people recognize it when they see it, as it is already a part of our sacred texts and traditions. A shiur I gave for Yom Yerushalayaim 2018 discussing how Rav Shagar connects science fiction and Messianism, as well as how this “Science-Fictional Messianism” shows up in other places in his writings and in the writings of Rav Menachem Froman. Sources below. The only difference between this world and the Messianic Era is subservience to the Nations. In order to understand these wondrous, magical depictions, which are not of this world, we can look to a somewhat parallel literary phenomenon, science fiction. Both science fiction and the rabbis’ homilies (midrashim) about the future redemption describe an alternative world. This world’s primary purpose, if we can speak of such a thing, is to lay bare the mystery (mistorin) of our lives, aiding the collapse and destruction of our banal, boring everyday life. In the rabbis’ days there were no rockets; the eschatological homilies don’t talk about distant galaxies or about worlds full of robots and beyond-human creatures. However, they contain just as much magic and wonders just as great [as science fiction contains]. They provide the realistic possibility of a substantive alternative to this world, an alternative that many of the rabbis certainly thought would arrive one day. […] In this way, the miraculous and the wondrous bursts into the world and disrupts its factual, scientific stability. To truly rebel against force, you must abandon it. The ability to abandon the game of force and violence is truly a messianic option. We do not dream of a time when the right power will win out, but for a time when power and might will not make right at all. We seek pleasure (oneg) and not reality (metsiyut) – this is true messianism. I don’t know how to depict this redemption, but Rebbe Naḥman’s words inspire me to think that, perhaps, if we stand vulnerable before God… this will enable a shift, something transcendent will reveal itself, something that is beyond difference. I am not talking about tolerance, nor about the removal of difference. The Other that I see before me will remain different and inaccessible and, despite this, the Divine Infinite will position me by the Other’s side. Again, how this will manifest in practical or political terms, I do not know. But Yom Yerushalayim will be able to turn from a nationalistic day, one which has turned with time into a tribalistic celebration of Religious Zionism alone, into an international day. The way each side sees it’s way of thinking as natural and obvious closes them in on themselves. Open dialogue, never mind mutual understanding, gets father and farther away. […] Perhaps the path to Jewish normalcy goes by way of abnormalcy. For example (to suggest a product of abnormal Jewish thinking), the idea that the Jewish world which sees this land as its ancient homeland and its modern destiny does not necessarily contradict the Palestinian world that see this land as the refreshing cradle of its birth. For example, perhaps peace will not come about through the mutual contraction of two cultural worlds, but through their expansion and sublimation. Once a year, when we approach the juxtaposition of Pesaḥ and Yom Ha’atsma’ut, a Jew like me is permitted to write a new proposal: all the birds that broke forth from their eggs are chirping that the time has past, but perhaps this movement of faith is a real movement of non-submission to the enslaving world and of building a free nation – from an intellectual perspective, adhering closely to reality, to the hope that creates reality. What would happen if the state of Israel absorbed “the territories,” conquered the entire promised land of Israel and reigned over it? What if we really achieved political liberty and were politically and economically independent from other nations? Would this be redemption (ge’ulah)? Would all our sufferings really disappear? Certainly not. The basic suffering of the Jews is first and foremost a spiritual, mental, and religious suffering. It is the suffering of our distance from God. This is the suffering described by the terrifying curse, “I will surely hide my face” (Deuteronomy 31:18), when God hides his face. This is the suffering of a person who has no faith, a person drowning in despair, whose life is torn and imperfect, who does not “live in the light of the face of the king” (Proverbs 16:16), the king of kings, the king of life. All the sages of Israel have agreed that the meaning of redemption, and not just the World to Come, which “eyes other than God’s have not seen” (Isaiah 64:3), which the human mind cannot comprehend, but also the lower redemption, the Messianic Era, cannot be summed up by physical or political redemption. We yearn for more than just “natural” redemption, which some of the rishonim, such as Maimonides, thought would be realized in the Messianic Era, differing from this world only in terms of “subservience to the Nations.” Our messianic pathos also contains the melody of the open miracle, what Rebbe Naḥman called the melody of the land of Israel, which stands opposed to the melody of nature. This miraculous redemption means the shattering of nature’s lawfulness. Reality itself will metamorphose. The world will shine differently, as reality’s crude matter will be purified and receive the translucency and illumination of the day that is entirely Shabbat and rest. […] This is redemption as described by the Kabbalists, the Hasidim, and all varieties of mystics, as well as by modern, anarchistic, utopians. The indwelling of the Shekhinah which they are waiting for is real divine presence, which not hidden behind the lawfulness of nature, no matter how pure it is. If a person knows that God is concealing himself, then there is no concealment, for “all evildoers are scattered” (Psalms 92:10). This is the meaning of the verse, “And I will conceal, yes, conceal, my face from them” (Deuteronomy 31:18). This means to say that God will conceal from them such that they will not know that God is hidden there. When the world becomes a fantasy / And you’re more than you could ever be / ‘Cause you’re dreaming with your eyes wide open / And you know you can’t go back again / To the world that you were living in / ‘Cause you’re dreaming with your eyes wide open / So, come alive!